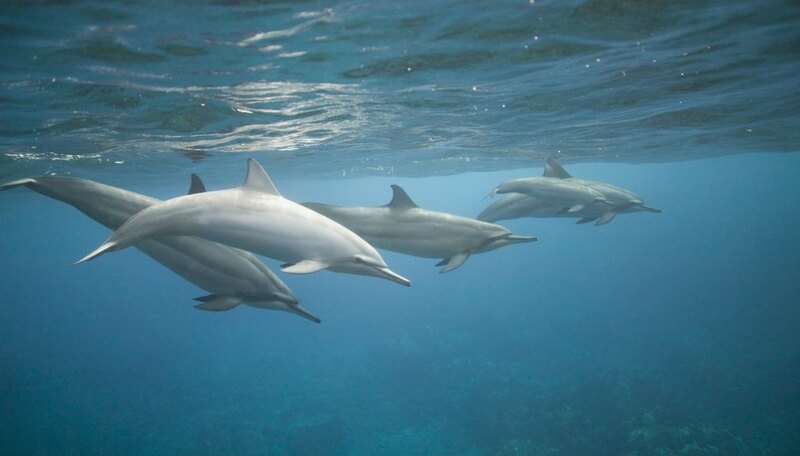 Dolphins are well-adapted for life in the water, although they are mammals like you and me. Various species of dolphins vary in behavior, shape and size. 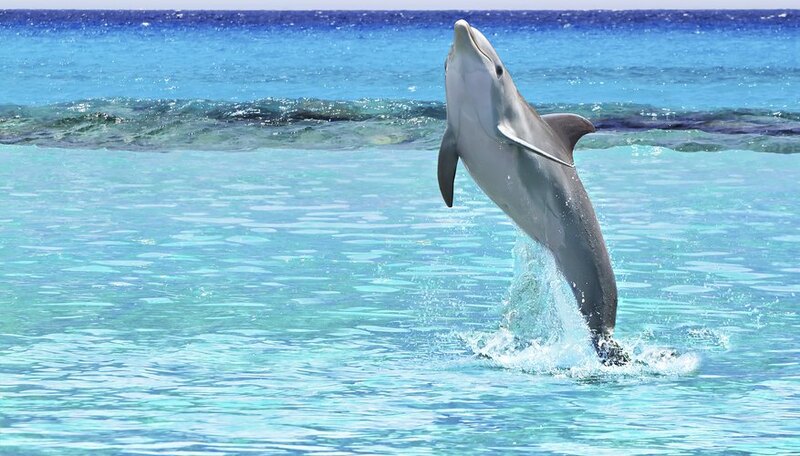 Dolphin species can range from 4 feet to 30 feet, yet they all have generally the same anatomy. The two fins on each side of the dolphin are called pectoral fins and are mostly used for steering. Dolphins also have a dorsal fin, which is the vertical fin on the dolphin's back. The dorsal fin acts like the keel on a boat by providing stability to the dolphin's body. 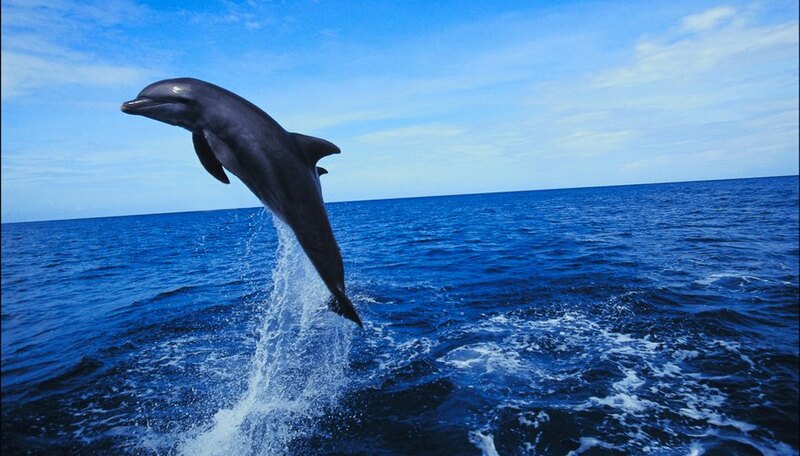 The tail is made of two fins called flukes and propels the dolphin's body. 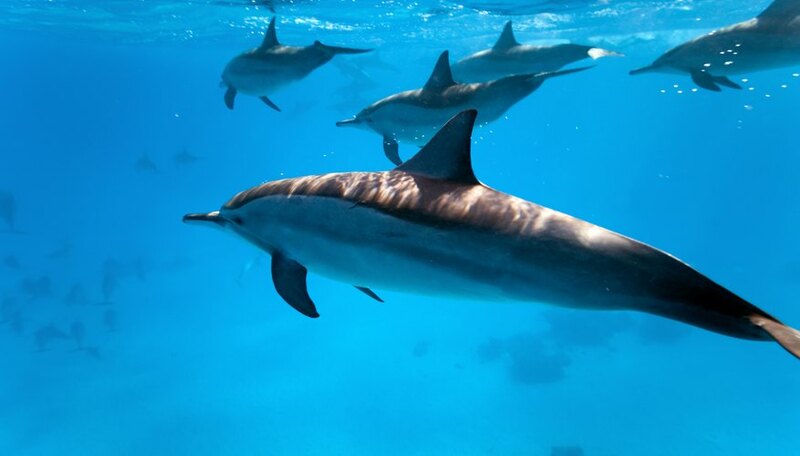 As mammals, dolphins breathe air and thus hold their breath when they go under water. The blowhole is the hole at the top of the dolphin's head and is what the dolphin uses to breathe when it reaches the water surface. 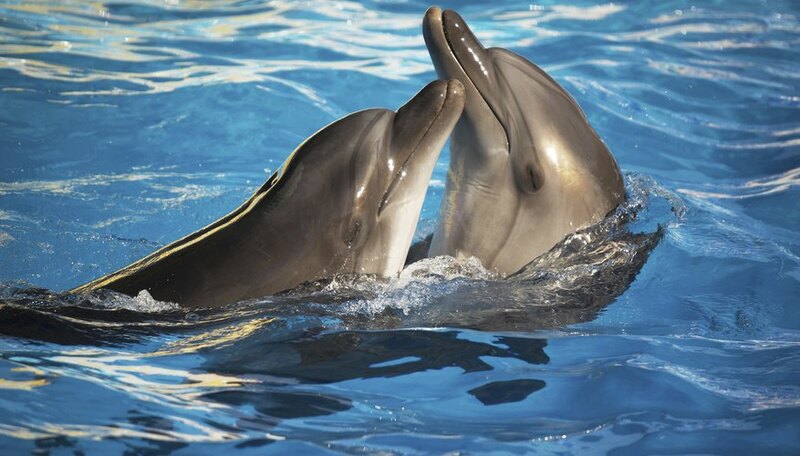 The long snout of the dolphin is called a rostrum. Some species of dolphins use the rostrum to probe the ocean floor for hiding fish. The rostrum contains the dolphin's conical-shaped teeth, which are useful in grabbing fish and other prey. Dolphins have a layer of blubber or fat under the surface of their skin. This blubber aids in streamlining the dolphin's body, insulating in cool water and keeping the dolphin's body buoyant in the water. 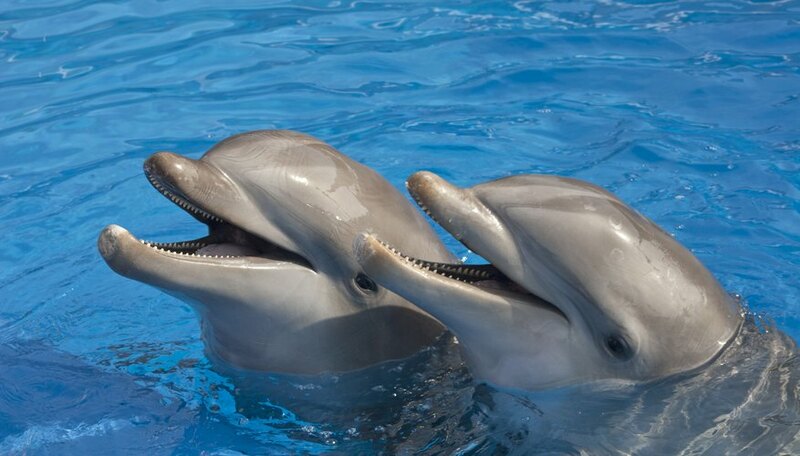 Dolphins also use the blowhole to produce a variety of noises used to communicate with each other and echolocate. These sounds are projected by the dolphin's melon, the large, fatty forehead. The melon projects the sounds, which bounce, or echo, off other items and animals. Hershey, Arlen. "What Are the Dolphin's Body Parts?" Sciencing, https://sciencing.com/dolphins-body-parts-5780057.html. 24 April 2017.